I rarely use PayPal. The only times I use PayPal is to buy from Internet merchants who I have never dealt with before. I never use their money movement feature. That being said, a couple of months ago I decided to add a new bank account to PayPal. A typical way to setup a new bank account for ACH is utilizing the trial deposit method of account verification. With this method, the entity which likes to make the ACH linked setup, sends two micro trial deposits usually less than a dollar to the bank account and asks you to verify this amount. This process takes typically a day or two due to the underlying limitation of the ACH technology which uses batch files in this day and age to settle transactions. Recently a newer way to verify bank information has been floating around – this is called Instant Verification where the entity (like Paypal) utilizes the online banking login information to confirm if you really are the owner of the account you are trying to link. I have used this method in a few places and 99% of the time, unless you are trying to link to one of the big banks, this never works. (In which case I fallback to the trial deposit method). So when I set up a new funding bank account with PayPal using this new Instant Verification method, I was surprised to see it was able to connect to a small local credit union account. However I realized a few months later, instead of linking the checking account, PayPal ended up linking the savings account. 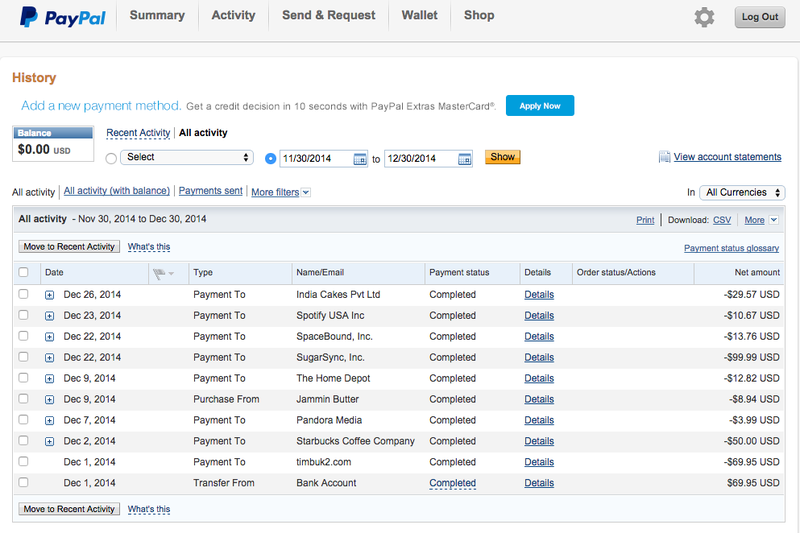 (Disclaimer: I am not sure who screwed up here, PayPal or the aggregator they use or my credit union’s core system). During holiday shopping season I used Paypal a little more than normal. This ended up deducting from my savings account (which didn’t have much balance on the first place since this bank account is purely used for everyday spend). At one point, the savings account over drafted and PayPal hit me with a $20 fee for the failed ACH transaction (even though I have a backup credit card setup within Paypal to fallback in the event of ACH failure. 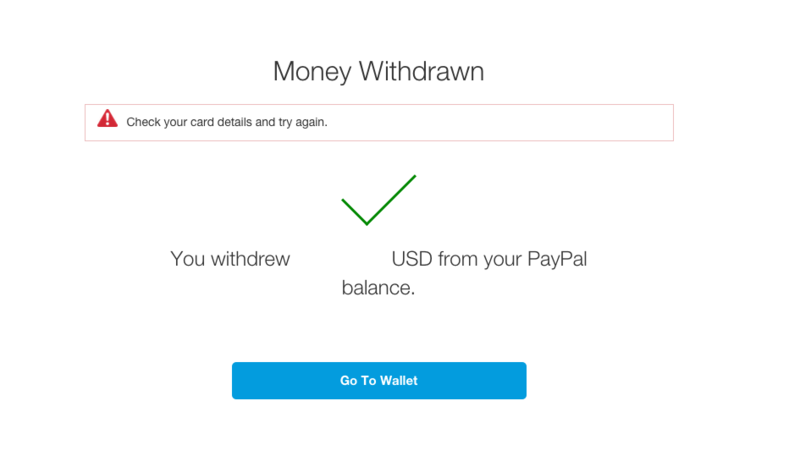 Not wanting to deal with PayPal’s customer service, I decided to remove this bank account from PayPal and just leave it only with a credit card as funding source. When I try removing the bank account, I get an error message that “You have a pending transaction – you cannot remove this bank account”. I give PayPal a full 5 day window and try removing this account and I got the same error message again. To add insult to injury, I can’t seem to locate the $20 fee or the Pending transaction within PayPal Account Activity Section. I even tried the Ugly Sister version (Classic Site) of PayPal to see if this Pending Transaction and hidden fee are visible – no luck. Update 1 on Jan 1, 2015. PayPal sent me a generic email about how to add and remove bank accounts when I specifically asked them to remove a bank account. 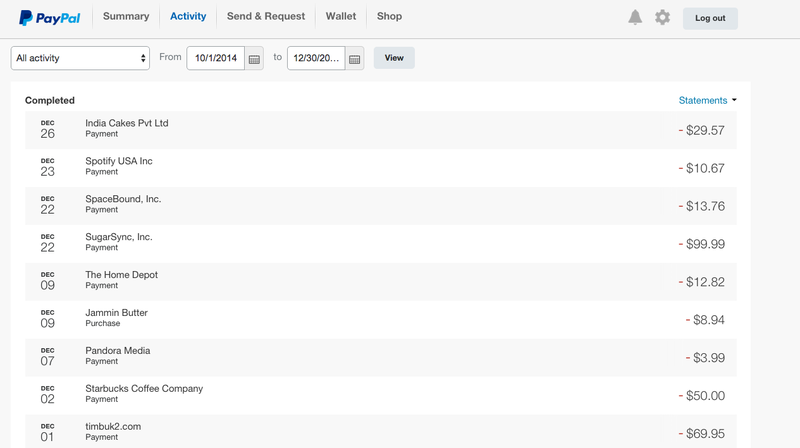 Auto Responders are not cool – especially when you deal with customer’s money. I tried moving some money from the PayPal account to my bank account. It seems like the transaction went through but this is the confirmation screen I got after the transaction. I got an error message to check my card details followed by a big green check mark possibly indicating that the money transfer was initiated. What does this even mean? To facilitate this move, I had to increase my monthly transfer limit. PayPal cleverly suggests that we add another credit or debit card to do this. I added a new card to increase my limit. PayPal charged me an amount of $1.95 to validate if the card really belongs to me. In the transaction memo they embed a 4 digit code which needs to be used to validate that the credit card belongs to me. Once I finished adding the card, I got a realtime mobile SMS alert from my FI and I added the 4 digit code to confirm that the card was mine. After that I was able to move the money from PayPal to the bank account. However, when I viewed the account register again, instead of seeing a credit and a debit for the $1.95 which PayPal posted, I see two credits to my account. SMH. Does this company even do any Quality Assurance Testing on the code they push to production?!?! Next Article UX fails – even Apple is not immune.